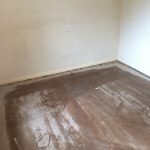 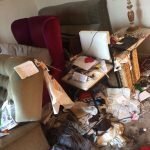 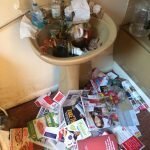 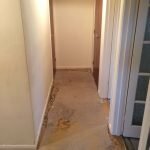 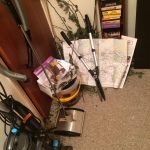 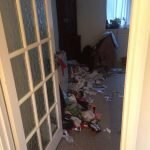 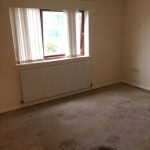 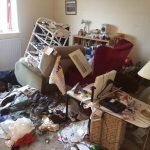 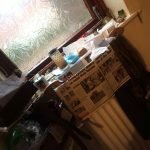 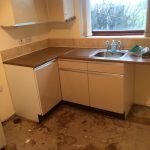 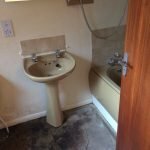 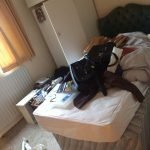 House Clearance Service In Chapeltown Burncross Charltonbrook High Green Mortomley Warren. 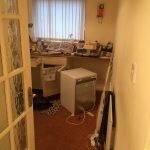 As well as clearing the usual furniture these small items will also need clearing – A pair of vintage white owl ceramic bookends, A brand new Shark duo clean cordless handheld vacuum cleaner, A brand new boxed Yale shed and garden alarm, A gold coloured gilt table lamp with onyx decoration, A Dewalt 18v nail gun and jigsaw, An early 20th century black dorset hand carved chamois photograph frame. 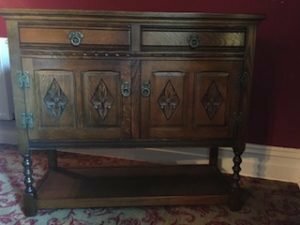 A heavily carved solid oak vintage sideboard, on barley twist legs, having two drawers above a double cupboard. 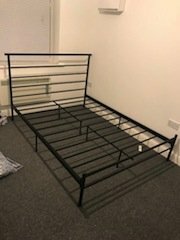 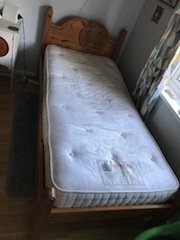 A solid pine single bed frame, together with a white dreams single mattress. 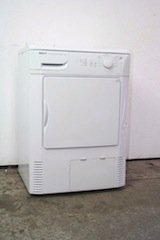 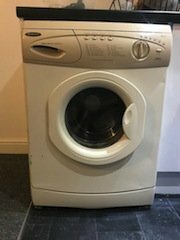 A white Whirlpool 6kg 1200 spin washing machine. 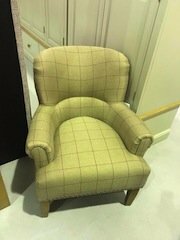 A small contemporary modern armchair on pine legs, upholstered in Harris Tweed. 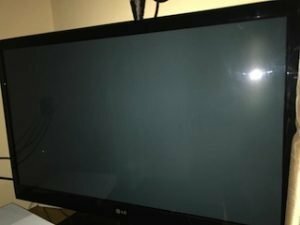 A black Samsung 50 inch flat screen smart television. 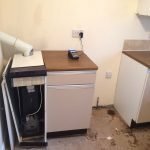 A white Hotpoint two door tall fridge freezer. 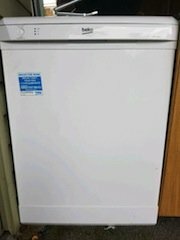 A white Beko slimline under counter dishwasher. 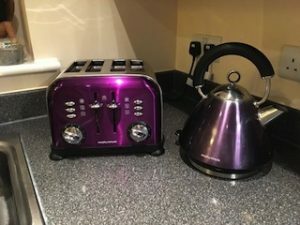 A purple cone shaped Russell Hobbs kettle, together with the matching four slice toaster. 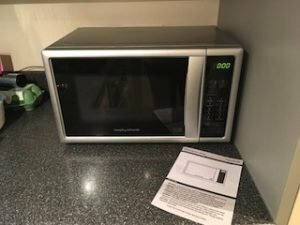 A silver and black Panasonic 800w microwave oven, with LED display. 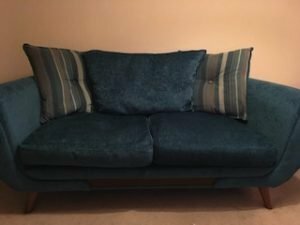 A two seater high back sofa on mahogany splayed legs, upholstered in teal crushed velvet. 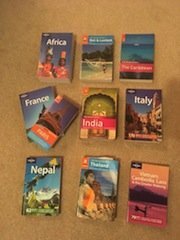 A large collection of travel books. 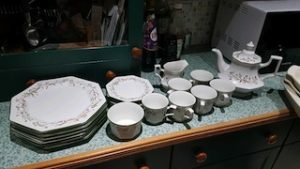 A large collection of royal Worcester bone China table ware. 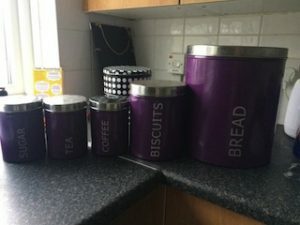 A collection of purple and stainless steel kitchen canisters. 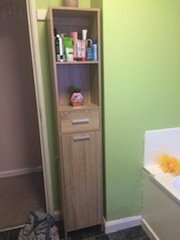 A tall standing slim beechwood bathroom unit.